Finally, it’s our turn at the front of 20-minute queue in 38-degree Celsius temperatures at the window kiosk at El Bohio Grocery, a store selling goods from the Dominican Republic in Corona, Queens. 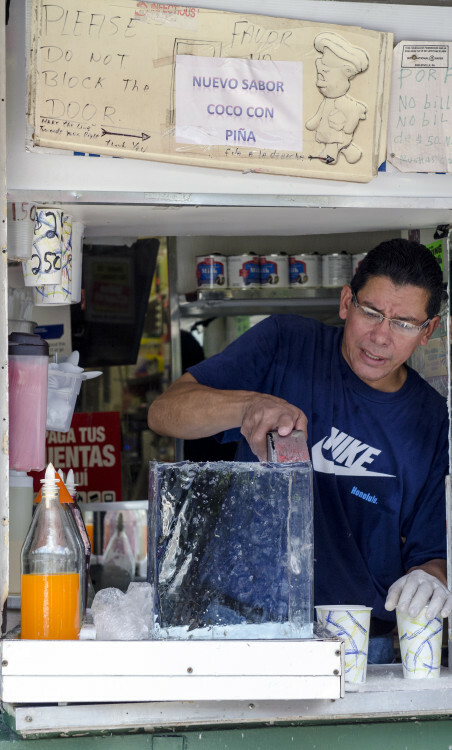 With a large bladed-knife, a man is shaving a 34 kilogram block of ice (he’ll go through three or four on a sweltering afternoon like this) under signs that reads: “Please Do Not Block the Door” and “Nuevo Sabor Coco Con Piña”. I make up my mind, coconut with pineapple it is, and he pours the syrup over the polystyrene cup of ice, followed by a good squirt of condensed milk. The language of transaction here is Spanish, and it’s what you hear exclusively spoken by the customers waiting in line, dodging eye contact with the soft-serve van parked forlornly to the side. 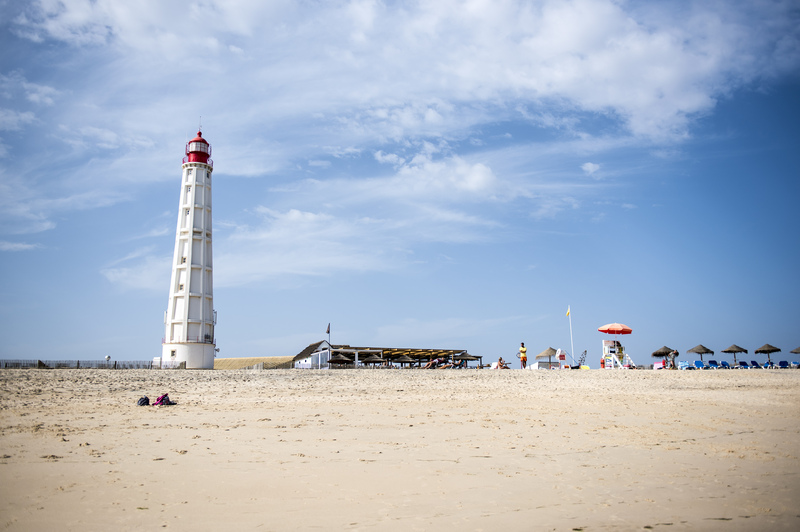 “It’s going to be a hot summer. 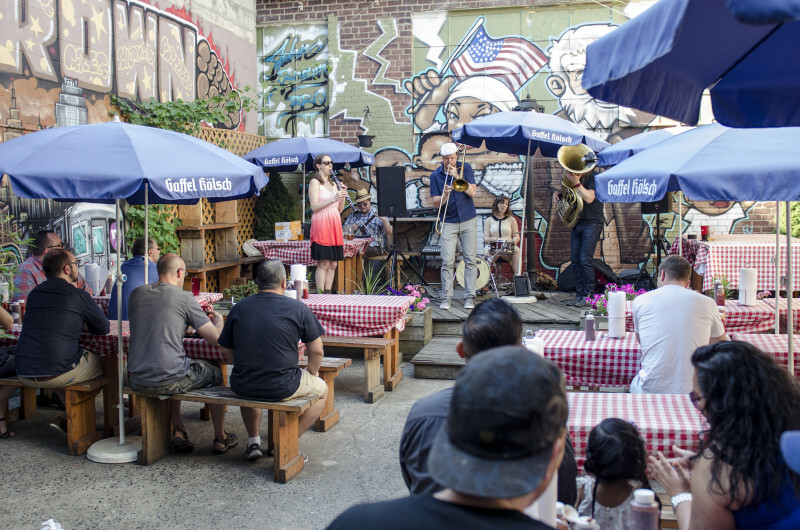 This is just a taster,” Joe DiStefano, Queens-based food writer and culinary guide says as we leave, taking shelter in the shade of a row of awnings along Roosevelt Avenue. 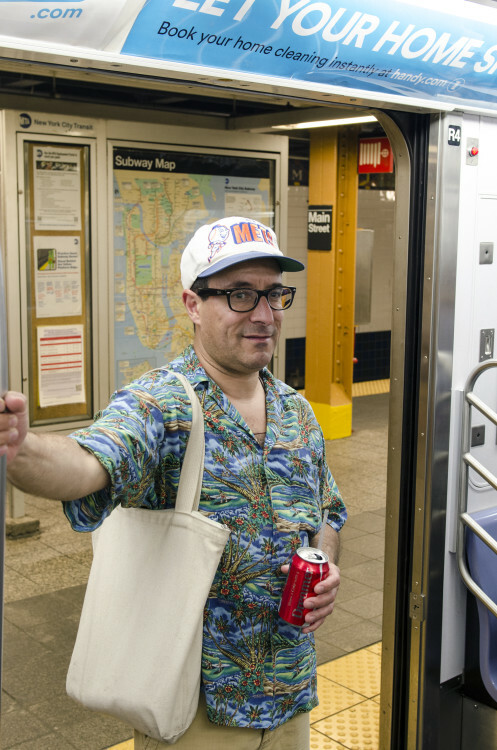 I’m in Queens with DiStefano, known to many as the expert on the local food scene, to eat my way along the 7-line, the elevated subway that runs through New York City’s largest borough, and up to Times Square in Manhattan. With around 2.3 million Queensians (locals would never use the term), and half of them with roots in more than 150 different nations, the 7-line is aptly named the “International Express”. Ask DiStefano why he lives in Queens and his response is conclusive: ”The food! But that’s just part of it. 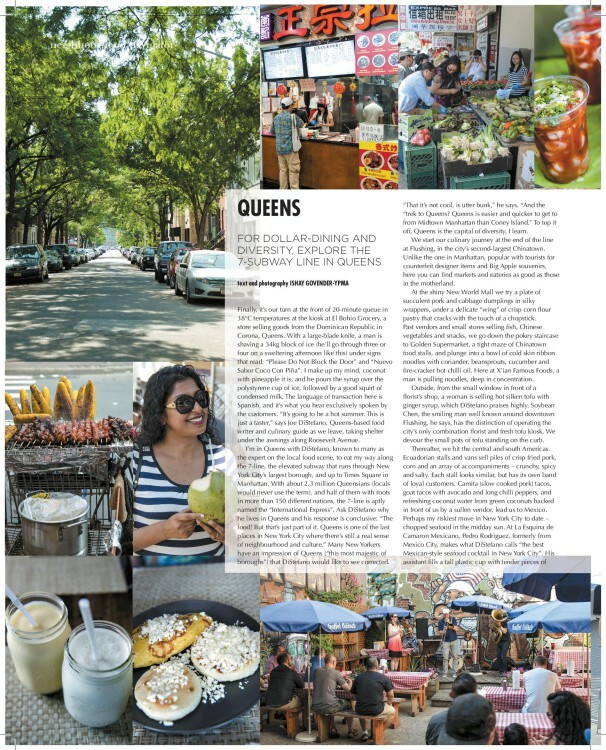 Queens is one of the last places in New York City where there’s still a real sense of neighbourhood and culture.” Many New Yorkers have an impression of Queens (“this most majestic of boroughs”) that DiStefano would like to see corrected. “That it’s not cool, is utter bunk,” he says. “And the “trek to Queens”? 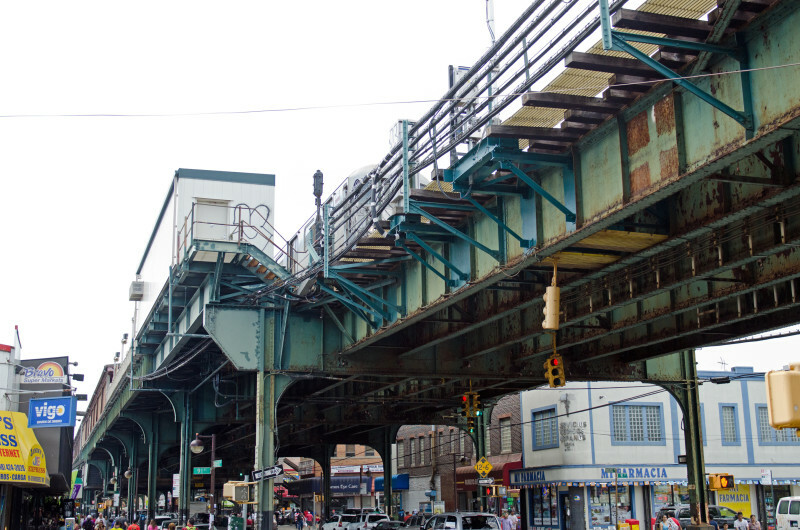 Queens is easier and quicker to get to from Midtown Manhattan than Coney Island.” To top it off, Queens is the capital of diversity, I learn. 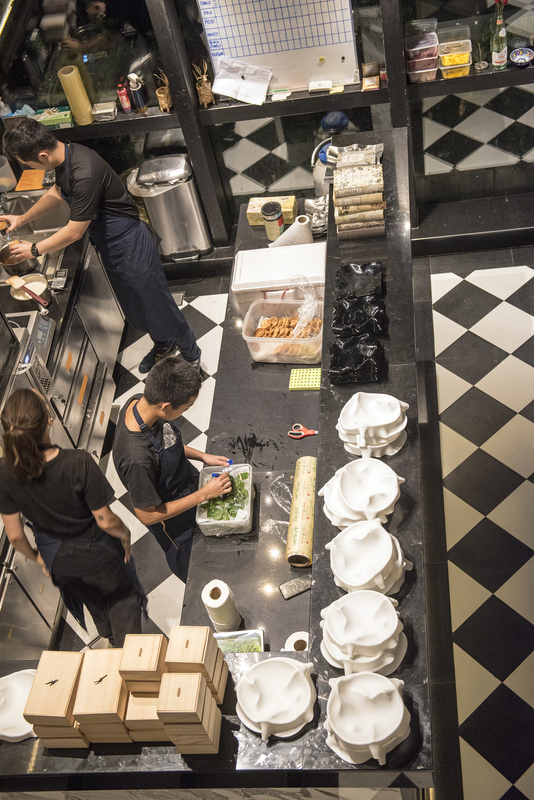 We start our culinary journey at the end of the line (or start, depending where you’re embarking) at Flushing, in the city’s second largest China Town. 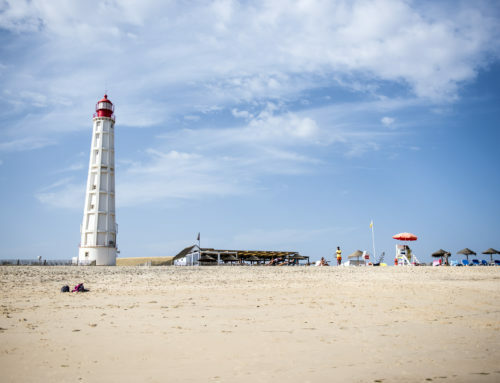 Unlike the one in Manhattan popular with tourists for counterfeit designer items and Big Apple souvenirs, here you can find markets and eateries as good as those in the motherland. At the bright and shiny New World Mall, which wasn’t yet opened on my last visit to the city, we try a plate of succulent pork and cabbage dumplings in silky wrappers, under a delicate “wing” of crisp corn flour pastry that cracks with the touch of a chopstick. Past vendors and small stores selling fish, Chinese vegetables and snacks, we wander down the pokey staircase to Golden Supermarket, a tight maze of Chinatown food stalls, and plunge into a bowl of cold skin ribbon noodles with coriander, beansprouts, cucumber and fire-cracker hot chilli oil. Here at X’ian Famous Foods, a man is pulling noodles, deep in concentration. Outside, from the small window in front of a florist’s shop, a woman is selling hot silken tofu with ginger syrup, which DiStefano praises highly. Soybean Chen, the smiling man well known around downtown Flushing, he says, has the distinction of operating the city’s only combination florist and fresh tofu kiosk. We devour the small pots of tofu standing on the curb. Thereafter, we hit the central and South Americas. Ecuadorian stalls and vans sell piles of crisp fried pork, corn and an array of accompaniments – crunchy, spicy and salty. Each stall looks similar, but has its own band of loyal customers. Carnita (slow cooked pork) tacos, goat tacos with avocado and long chilli peppers, and refreshing coconut water from green coconuts hacked in front of us by a sullen vendor, lead us to Mexico. Perhaps my riskiest move in New York City to date – chopped seafood in the midday sun. At La Esquina de Camaron Mexicano, Pedro Rodriguez, formerly from Mexico City makes what DiStefano calls “the best Mexican-style seafood cocktail in New York City”. 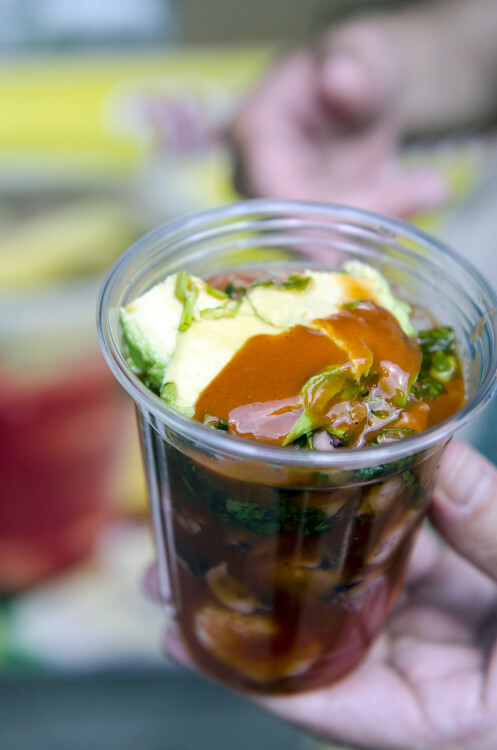 In a tall plastic cup his assistant fills tender pieces of mixed seafood and tops it with a home-made tomato sauce (“My grandmother’s recipe”, he insists), diced onions, coriander, avocado, lime juice and hot sauce. It remains one of the best things I eat during a month of high and low-end dining across the city. 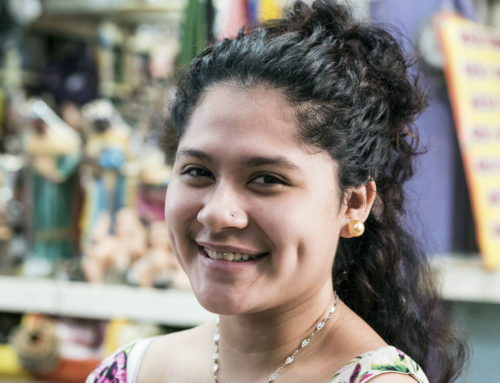 Nearby at the Columbian Arepa Lady, a former street cart vendor who became so popular that she opened a restaurant, we try a trio of arepa – maize flatbreads and her famous frothy lúcuma milkshakes. 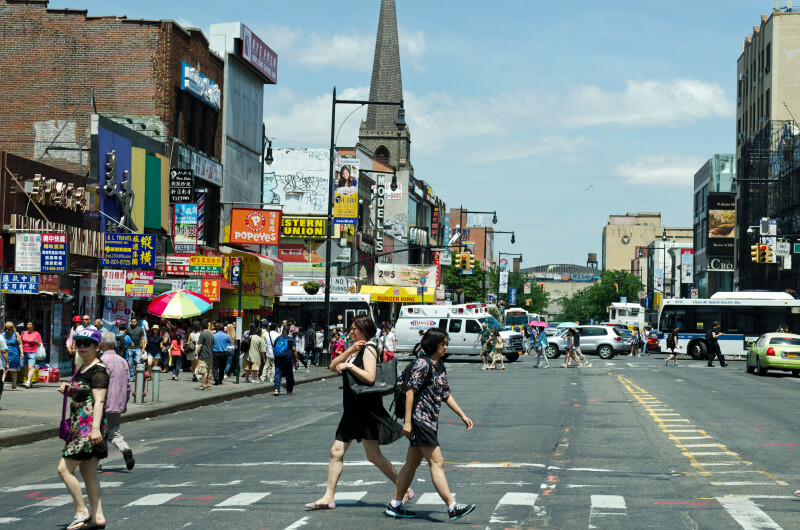 Jackson Heights is best known for its Indian and South Asian residents. Here we order enormous bowls of chaat – street food snacks of puffed rice, peanuts, tamarind water and spices from a Bangladeshi vendor, visit the multi-level air-conditioned Indian-goods supermarkets and prayer stores, and move on to the Himalayas. The scent of incense burning curls around street corners and stairwells. Food trucks sell momo – Tibetan and Nepalese dumplings. But we’ve come for the thali and we find an excellent one in the humble Dhaulaghiri Kitchen, in front of Tawa Foods, a tiny store making parathas and rotis. 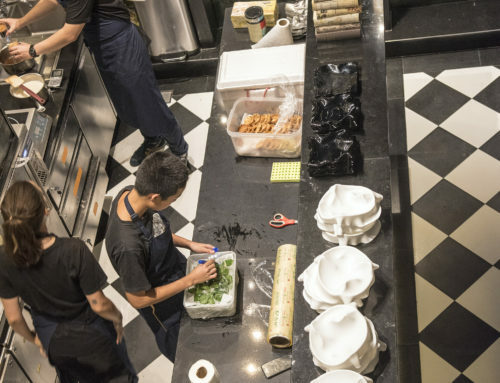 DiStefano calls Kamala Gauchan, the chef proprietor his “other grandmother” and explains that she comes from a restaurant family in Kathmandu, Nepal. 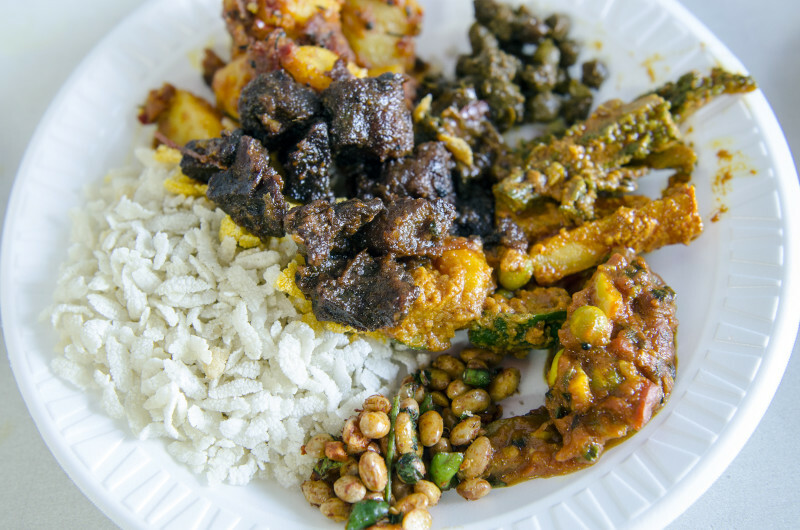 On the plate are spoonful servings of dhal, spiced vegetables, bitter gourd, pickles, large puffed rice and air-dried goat curry. I order pickles and paratha to take away. 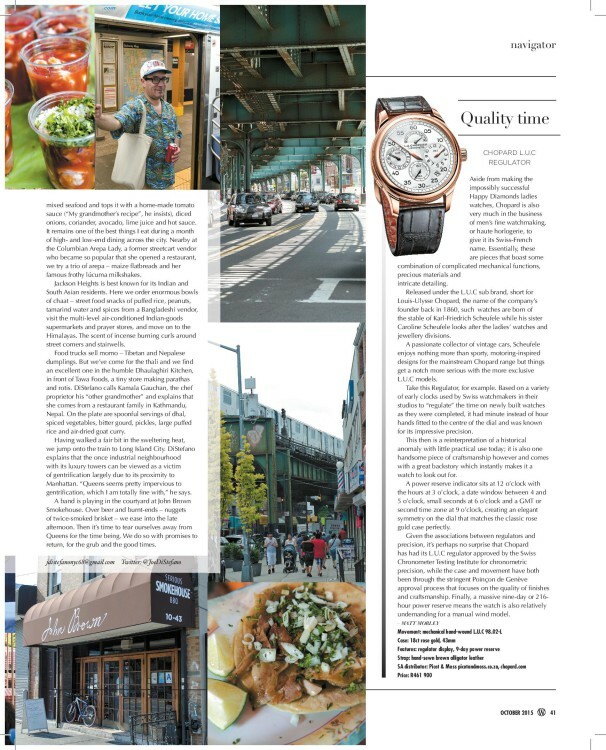 Having walked a fair bit in the sweltering heat, past the energetic vendors, crammed bric-a-brac stores under the 7-line, and the wide tree-lined streets with brownstones off the main drags, we jump onto the train to Long Island City. DiStefano explains that the once industrial neighbourhood of Long Island City with its luxury towers can be viewed as victim of gentrification largely due to its proximity to Manhattan. The same can be said of Ridgewood, which is closer to Brooklyn. 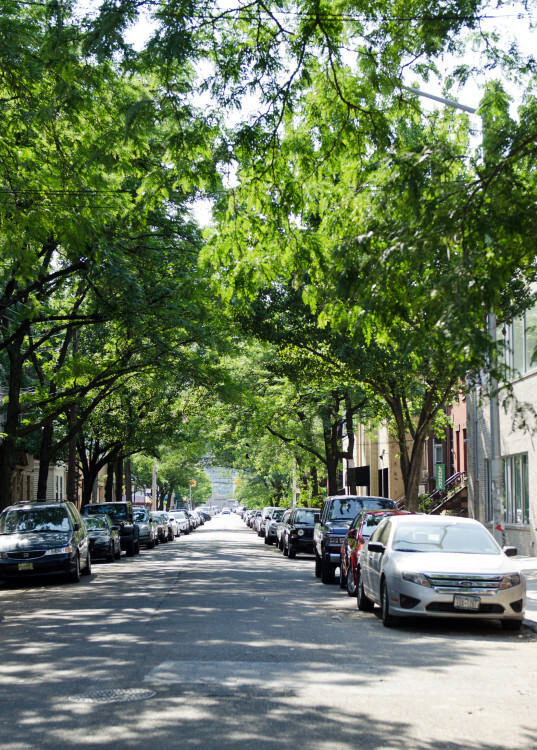 “Queens seems pretty impervious to gentrification, which I am totally fine with,” DiStefano says. A band is playing in the courtyard at John Brown Smokehouse. Over local beer and burnt-ends –nuggets of twice smoked brisket we ease into the late afternoon. The restaurant fills up and it’s time to tear ourselves away from Queens for the time being. We do so with promises to return, for the grub and the good times.